A fair amount, albeit not nearly enough, attention is devoted to the heartbreak and grief that owners experience whenever a beloved cat dies. Coping with such a devastating loss is never easy under any circumstances but most individuals eventually recover to a large extent and thus are able to get on with their busy lives. Quite often it is none other than the arrival of another cat that provides the salve for their wounds. Regrettably, not very much attention is paid to the even more pitiable situation where the shoe rests on the other foot. In particular, even when either a relative of the deceased or a neighbor magnanimously consents to take in a bereaved cat and to provide it with a home and food, it is left the majority of the time to cope all alone and in silence with its tragic loss. During such trying times cats need and deserve special attention and never should be left to their own devices. By so stubbornly refusing to acknowledge that they have psychological as well as physical needs, man continues to demonstrate not only his extreme selfishness but his uncaring nature as well. In spite of the glaring deficiencies inherent in any regimen that attempts to address only a cat's physical needs, such a lopsided approach is still far preferable to the simply abhorrent alternative of surrendering it to Animal Control officers, shelters, and PETA whose only raison d'être is to liquidate the entire species. Every bit as outrageous as it sounds, that is the cruel and unjust fate that befalls countless grieving cats each year who manage to outlive their guardians. It also serves to accentuate the point that the most valuable contribution that any individual can make to the life of a cat is to keep it safe from all those individuals and groups that are intent upon doing it harm. In addition to those concerns, watching its owner die right underneath its nose can be traumatic enough in its own right for any cat as a ten-year-old handsome tuxedo named Ian found out firsthand back in May when the elderly and unidentified woman who cared for him died unexpectedly. Alerted by neighbors who had not seen her in some time, Police Community Support Officer (PCSO) Ian Concannon was summoned to her house on Knightwick Crescent in the Kingstanding section of north Birmingham where he found Ian curled up alongside her lifeless body. Press reports fail to disclose how long the pensioner had been dead and that makes it impossible to speculate on how many days Ian was forced to go without food, water, and having his litter box emptied. Suffice it to say, that must have been an extremely difficult time for him. "The circumstances were very sad and it must have been awful for the cat," Sheila Pennell of Cats Protection told the Birmingham Mail on June 4th. (See "Devoted Cat Found Curled Up Next to His Dead Owner.") "He was trapped indoors wondering why his owner wouldn't wake up, feed him or let him out." Shortly after his rescue Ian was placed in foster care with Pennell at her home in the suburb of Erdington, eight kilometers northeast of Birmingham. Although his horrifying ordeal does not seem to have adversely affected his physical health, it is a good deal more difficult to gauge what impact it may have had on his psychological well-being. "He's now over his trauma and has settled in well," Pennell opined to the Birmingham Mail. "He is quirky and has a lovely nature. But it is sad to see him looking out of his lonely pen in the nice weather wishing he had a new home and a garden of his own." Unfortunately, none of the dead woman's relatives expressed so much as an iota of interest in adopting him. Tant pis, none of them even knew so much as his real name and that necessitated Cats Protection naming him in honor of his rescuer. Despite being coldhearted and irresponsible, their behavior is merely par for the course in cases of this sort. For example, when radiologist Larry Johnson died of a heart attack back in July of 2007 he left an estate valued at $6.5 million to his alma mater, Juniata College in Hungtingdon, Pennsylvania. Also included in his bequest was his beloved cat, Princess. Even though Ian previously had been neutered, vaccinated, and microchipped, Cats Protection had a difficult time placing him in a new home. In particular, at least two offers of adoption did not pan out for unexplained reasons. Even Concannon, who later telephoned Pennell on a regular basis in order to check on his namesake's well-being and progress, was unable to offer him a home. " He's a lovely little cat and the circumstances in which I found him were very sad," he explained to the Birmingham Mail in the article cited supra. "I like cats myself, but I live in a shared house with a landlady so I can't have him." 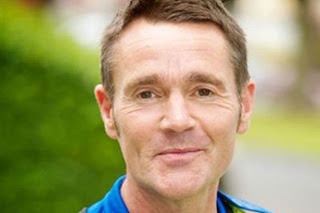 Thanks in no small part to the willingness of the Birmingham Mail to champion his cause, Ian finally secured a permanent home somewhere along about the middle of June. 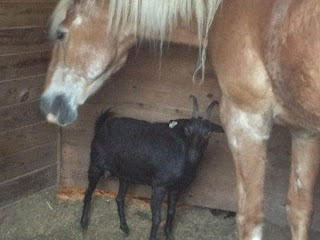 Best of all, he is said to be in good health and supposedly has adjusted well to his new guardian and surroundings. It is difficult to know, however, if he finally has gotten over the loss of his longtime guardian. Critics may counter that he did not have any choice in the matter because he was locked indoors with her corpse. It is doubtful, however, that he would have behaved much differently even if every door and window in the house had been left standing wide open. Just because mankind has elevated perfidy to an art form is not a valid reason for attributing such a distasteful character trait to cats. Furthermore, cats often do not only remain forever faithful to their dead caretakers but to fallen siblings as well. Take, for example, the tragic case of six-year-old Bonnie and her brother, Buster, from the market town of Wellingborough in Northamptonshire, East Midlands. 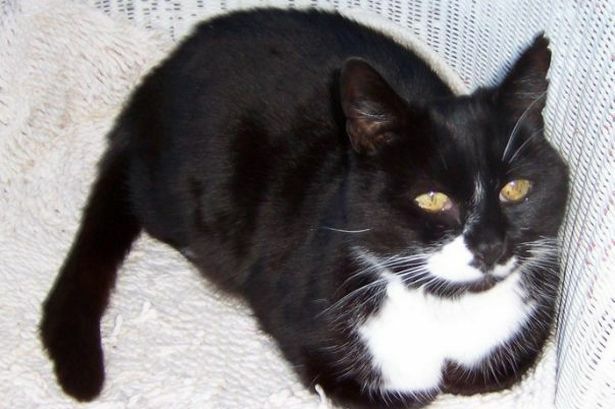 In one of the most despicable and heinous crimes committed against a cat in recent memory, a group of unidentified cretins killed Bonnie last November 10th by ramming a firecracker up her rear end and then detonating it. As she lay dying in Shelley Road, Buster, who had raced to her side, was run down and killed by a hit-and-run motorist. "Buster was very protective of his sister," the unidentified owner of the duo confided to the Northampton Chronicle and Echo on February 21st. (See "Police Renew Appeal after Cat Is 'Blown Up' by Firework.") "We have had them since they were kittens and they were inseparable. It looks as though he had stayed with her but had been hit by a car." Quite understandably, their senseless murders have been especially difficult on their owner. "I'm totally lost without them. The house seems so quiet. Every time I hear a noise I think it's one of them coming through the door," their guardian added. "I'm still coming to terms with it all. They were part of the family." Their deaths also have dissuaded their aggrieved caretaker from adopting replacements for them anytime soon. "I don't think I'll be getting another cat as long as I am living here, not when there's people like that about," the owner told the Northampton Chronicle and Echo. "You wonder what they'll do next. It was a cat this time but what's after that? Another animal? A small child?" The altruistic behavior of all of these wonderful cats demonstrates that they answer to a higher morality and and are imbued with a sense of compassion that is far superior to all the self-serving, hypocritical tosh that most humans blather on about so profusely but seldom, if ever, practice. Mark Twain, a keen observer of the species, doubtlessly would concur if he were still alive today. "If man could be crossed with the cat it would improve man, but it would deteriorate the cat," he wrote in his 1894 Notebook. There are, of course, exceptions to any rule and some individuals truly love and respect their cats. In fact, a few of them love them so much that they are unable to go on without them. If people were considerably more open-minded on matters of this sort there is a good deal that they could learn from cats. "These intelligent, peace-loving, four-footed friends -- who are without prejudice, without hate, without greed -- may someday teach us something," noted authoress Lilian Jackson Braun wrote in her 2000 novel, The Cat Who Saw Stars. In particular, there could not be any better place for them to begin earning their tuition than by for once acknowledging that cats have an inalienable right to live out their lives to the very end and in doing so to be free of all abuse and exploitation. Half-hearted measures that already have been watered-down by a million caveats, such as the so-called No-Kill movement, never will suffice; the prerogatives of the species must be accepted as absolutes. Finally, although few individuals are willing to so much as contemplate, let alone plan for, their own eventual demises, it is unassailable that no one live forever. Consequently, it is imperative that owners, if at all possible, make contingency plans for the continued care of their cats. That is especially the case for those who live alone. By doing so they can ensure that fewer cats are forced to endure the terrifying travails that befell Ian. That should not be misconstrued in any way so as to minimize the formidable obstacles faced by those who are elderly, sickly, and all alone in this world themselves. Nevertheless, it is incumbent upon them to do as much as is humanly possible for their loyal and devoted cats. 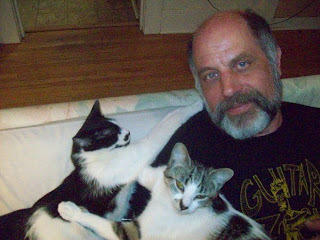 It is morally repulsive enough in its own right that myriads of cats are killed off each year by their owners once they have become either sickly, aged, or simply unwanted, but those individuals who are unable to pass up the temptation in order to capitalize upon their dastardly deeds are by far and away the worst of a bad set or rotters. Heading the list of these totally unconscionable feline murderers is none other than seventy-year-old Garrison Keillor, the host of National Public Radio's longtime running variety show, A Prairie Home Companion. During a June 7th show (air date June 8th) that emanated from the Greek Theatre in Los Angeles's Griffith Park, he proudly disclosed to the world that he recently had whacked his seventeen-year-old cat, Meiko. In a long and rambling poem entitled "Meiko Tribute," Keillor deliberately omits all the pertinent facts while simultaneously shedding enough self-serving crocodile tears to have inundated the Hollywood Bowl. As to the former, all that he conveniently reveals is that on an unspecified Friday Meiko "was not herself at all." By the next day she had lost her appetite and by Sunday she had exhausted her usefulness to him because she "did not brush our leg or purr." After defenseless Meiko had so obligingly gone along with his and his designated assassin's diabolical plan, Keillor had nothing but praise for her. "Good cat. Good cat," he caroled in obvious relief at finally having gotten shed of her. 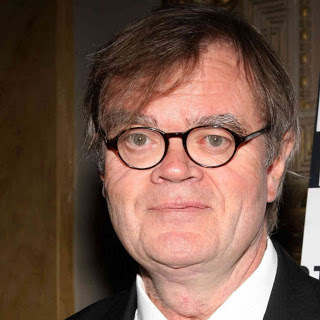 During each and every one of his broadcasts, Keillor boasts practically nonstop of having been an English major at the University of Minnesota and as such he is sans doute acutely aware that there is a huge difference between premeditated murder and euthanasia. The same holds true for such disingenuous terms as "nap" and "sleep" which he liberally bandies about as synonyms for the already shamelessly misconstrued term euthanasia. This is anything but a trivial matter of semantics. Murder is murder and absolutely no one should be allowed to get away with claiming otherwise simply by corrupting language. It goes almost without saying that Keillor, old and worn-out himself, knows better than anyone else that Meiko's days of youthful gamboling are, sadly, at an end. If he truly had cared about her, he would have taken drastic measures in order to have extended her life; even an old cat is, after all, far more valuable than a dead one. Being the clever chap that he is, Keillor goes to great lengths in order to conceal not only exactly what was ailing Meiko but any previous maladies that she might have had as well. Based upon the tidbits of information that the does divulge, it would not appear that she was either in terribly bad shape or horrific pain. Consequently, it is entirely conceivable that her life could have been extended indefinitely if only he had been willing to care for her and to pony up for her veterinary care. Whereas financial considerations often impose severe limitations on the compassion of the impecunious, that most definitely is not the case with Keillor who, on the contrary, has money to burn. Moreover, even if Meiko had been beyond the assistance of all veterinary intervention she at the very least deserved no less than to have been allowed to die at her own sweet time and in the familiar surroundings of the place that she called home. Keillor also categorically refuses to inform his audience as to the disposal of Meiko's remains. That omission leaves open the distinct possibility that they either were burned or thrown out in the trash. The denouement was far different recently at the home of forty-eight-year-old Karen Jones in Ashford, Kent, after she had retrieved from the street what she thought to have been the lifeless body of her two-year-old black tom, Norman. Not only did her son devote two hours to preparing a final resting place for him in the garden, but that was followed by an hourlong memorial service and interment with his favorite toy. He additionally was provided with a tombstone. Those patently ailurophobic sentiments echo those that he uttered sometime back when he declared that "cats are intended to teach us that not everything in nature has a purpose." Since he so obviously feels that way about cats, it is hard to imagine that he has much more regard for either anyone or anything that is not reflected back to him in his shaving mirror. For an animal whose life is brief. And if it is foolish, so it be." Of cat affection while she lived." At no time does Keillor ever explicitly acknowledge that Meiko possessed so much as a scintilla of intrinsic worth as a fellow sentient being. He accordingly looked upon her solely through the prism of what she was able to do for him. His perverse mindset is by no means limited to cats. For example, during his broadcasts he quite often goes to extravagant lengths in order to extol the barbarities associated with both hunting and ice fishing. He also demonstrates his extreme selfishness time and time again by the way in which he not only hogs center stage throughout his shows but practically straight-arms every female guest vocalist into singing duets with him. Given his rather limited vocal range, it is difficult to imagine that these collaborations could be anything other than pure torture for them. All of this calls into question the type and quality or life that he provided for Meiko. Given that he is on the road practically fifty-two weeks a year, he quite obviously spent precious little time with her. It has not been disclosed whether she resided at his home in St. Paul or at his apartment on Manhattan's Upper West Side. Since he was not attending to her daily needs, that task fell by default to his third wife, violinist Jenny Lind Nilsson, and his fifteen-year-old daughter, Maia Grace. Given that they likely accompany him on many of his rambles, Meiko's care during those intervals probably was fobbed off on servants. If, on the other hand, he had been willing to have spent considerably more time at home with her it is remotely conceivable that even someone was prejudiced as him might eventually have gained some insight and appreciation into not only her intrinsic worth but that of all cats as well. Doing so also would have provided him with the leisure in order to have produced better broadcasts instead of simply recycling the same old material that he has been fobbing off on his undiscriminating listeners for the past four decades. Much more to the point, his aberrant behavior also paints a disturbingly negative portrait of a man who does not have any business pontificating about cats in the first place, let alone going to such outlandish lengths in order to denigrate them. It is even debatable if someone as irresponsible as him should be allowed to own one. All of Keillor's transgressions against the species pale in comparison, however, with his naked exploitation of Meiko in order to fill air time on his radio show. His "Meiko Tribute" not only reeks of dishonesty and bad taste but establishes a simply horrible precedent as to how cats should be valued and treated. Worst of all, listeners to his show are left with the totally spurious impression that is morally permissible to kill off sick and elderly cats instead of providing them with prompt and effective veterinary care. That is in addition to Keillor's crude attempt to elevate feline neglect and disparagement to something akin to a new art form. Unfortunately, in that regard he seems to have been preeminently successful in that apparently no one in the audience at Griffith Park was sufficiently offended by his remarks to either have voiced their displeasure or to have gotten up and left. The same can be said for the total lack of criticism that they failed to provoke from both his radio audience and so-called feline protection groups as well. In an episode entitled "The Case of the Camberwell Poisoner," which was scripted by Anthony Boucher and Denis Green as opposed to Arthur Conan Doyle, the great detective and Dr. John Watson are summoned to Camberwell in south London in order to prevent a murder. As things eventually turned out, they arrived too late in order to stop twenty-year-old Gilly Lovelace from murdering his forty-five-year-old cousin, Edmund, in order to save the life of his beloved dog, Gladstone. Gilly was forced into bludgeoning Edmund with a poker and then injecting him with cyanide after the latter had brought home the deadly drug with the intention of using it to kill off elderly and infirm Gladstone. "Of course I do, more than anything or anybody," Gilly proudly declared his love for Gladstone to Holmes. As per usual, Holmes eventually was able to unravel the mystery. "Then he'd be dead and he couldn't hurt my Gladstone ever," Gilly later told the detective after describing how he had done away with his evil cousin. In addition to loving Gladstone with all his heart, Gilly quite obviously had not only a deep and abiding respect for his intrinsic value as a dog but, just as importantly, his right to live out his life to the very end. That type of morality and steadfast devotion is completely alien to most cat and dog owners of today but not even the atrocities committed by a trillion Keillors ever will be able to supplant it as the gold standard of what all pet owners owe to their faithful companions. Photo: National Public Radio (Keillor). "I really needed the companionship. I'm homeless. Depression is a big thing out there. The cat was a rainbow in a dark world." For both cats and humans alike the game of life pretty much unfolds according to the same script. Beginning when they first open their eyes and gaze out upon the wonders of creation and culminating with the extinguishment of all light and their return to a world of darkness, the intervening years for the both of them are characterized by a long series of hellos and good-byes. Hearty hellos to life and youthful companions followed by the inevitable mournful good-byes to one and all and everything else to boot. For a four-year-old white and gray cat named Tabor and forty-eight-year-old Michael King their first hellos were exchanged at around midnight during the middle of last September. The rain was coming down in buckets and they found themselves in the unenviable position of being caught out on the forbidding streets of Portland without the benefit of either shelter or friends. The teeming streets of any metropolitan city can be lively and even beguiling during the daytime but once the nighttime descends upon them they take on an altogether different hue. The salubrious warmth and light so generously provided by Old Sol is soon supplanted by darkness and cold. The multitudinous and grasping bourgeoisie quickly forsake their counting houses in favor of their opulent suburban estates only to be replaced by a considerably smaller, although by no means less dangerous, contingent of predators who either by choice or circumstances prowl the deserted streets an ungodly hours. Danger lurks around every corner and a haunting loneliness every bit as palpable as the falling precipitation envelops all the familiar landmarks. With the beat of a heart." It is funny how love seems to always turn up at the least opportune times and to bring with it all sorts of unintended consequences. "Love is a fire," actress Joan Crawford once volunteered. "But whether it is going to warm your heart or burn down your house, you can never tell." As he approached the Tabor Hill Cafe at 3766 Southeast Hawthorne Street on that fateful night, King spotted a frightened and emaciated cat cowering underneath a table. She not only was soaked to the bone but sporting a swollen eye as well. Homeless himself since 2003, the last thing that he seemingly needed in this world was a cat. 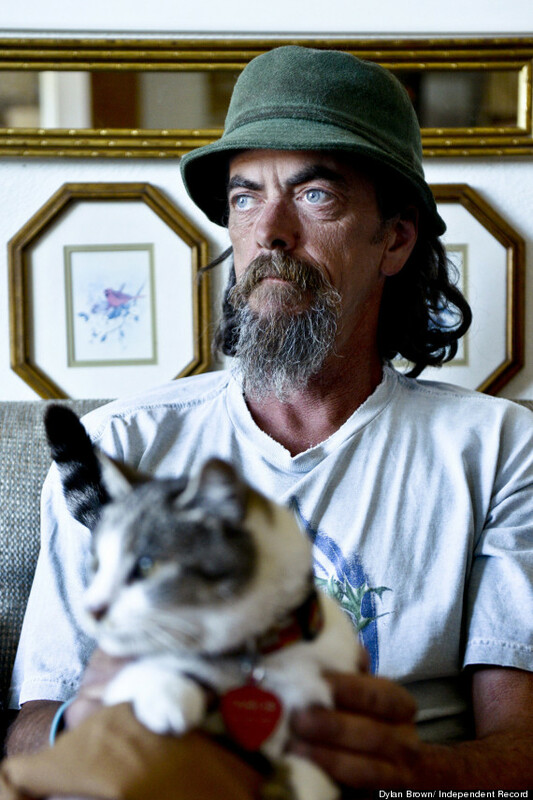 "I see cats all the time," he later told the Independent Record of Helena on June 17th. (See "'The Cat Was a Rainbow in a Dark World'.") "I don't pick up cats. I don't want a cat, especially a full-grown one." Be that as it may, apparently all it took was one look and he had himself a traveling companion. "Something told me to grab her," he added. "I don't know." Taking on the awesome responsibility of caring for a cat is a daunting task even for those individuals blessed with homes and fat bank accounts but for an unemployed and homeless individual it is pretty much unthinkable. In addition to the obvious problems associated with procuring food and shelter for it, an individual without property does not have any tangible means of either protecting or even retaining possession of it. Nevertheless, there always has existed a fraternity comprised of homeless individuals and their cats and, in spite of the seemingly insurmountable obstacles, King elected to take the cat underneath his protective wing. Since he had found her at the restaurant he according named her Tabor. Although he was not in the market for a cat, King was far from being unacquainted with their personalities, needs, and charms. Earlier, when he was settled into a permanent abode, he had owned several of them including a pair of Himalayans. His own pressing needs sans doute also factored heavily into his decision to befriend Tabor. "I really needed the companionship," he confessed to the Independent Record. "I'm homeless. Depression is a big thing out there. The cat was a rainbow in a dark world." Although King's motivation easily can be comprehended, it is considerably more difficult to decipher what Tabor ever saw in him. That is especially the case in light of the fact that most cats are, with perfectly good reason, scared to death of strangers and will not allow them to come anywhere near them. Press reports fail to clarify whether she took up with him on the spot or if that occurred only after an extended period of feeding and socialization. The latter would seem to be a more likely scenario but, regardless of the logistics, Tabor soon trusted King to such an extent that he not only was able to get close to her but to stuff her into his backpack and make off with her as well. The first orders of business were to attend to her injured eye and to procure food and water for her. Given that they both were without homes, he also was forced into purchasing a collar, leash, and carrier in order to move her around with him. Altogether, Tabor, her food, and accouterment added about twenty pounds to King's backpack. Although that may not sound like an awful lot, even so much as a single additional pound can be readily felt by those who are forced to carry around the sum total of their worldly possessions on their backs. Not surprisingly, the chronically homeless suffer disproportionately from sciatica and other debilitating maladies that affect the lower back and knees. On the positive side of the equation, Tabor's liabilities were more than compensated for by not only the companionship that she afforded King but also the profound change that her presence precipitated in how others reacted to him. "She's a big hit on the streets of Portland," King told the Independent Record in the article cited supra. "Very rarely do you see a cat riding on top of someone's backpack." Curious passerby accordingly would stop and photograph them and that doubtlessly put a few shekels in King's pocket. After all, it is well-known that individuals who normally would not give a poor man so much as a solitary sou quite often are willing to fork over fistfuls of greenbacks to him if he is accompanied by either a cat or some other animal. Regardless of whatever position they may occupy within society's pecking order, the way that people do their sums can only be described as bizarre. King and Tabor hung around Portland for another three weeks until the weather turned even nastier than it was on the night when they first met. He listed her on craigslist's lost and found bulletin board but when no one came forward to reclaim her he took off with her for a warmer climate. The details of their itinerary are rather sketchy but the high point of their adventure seems to have been hitchhiking one-thousand-two-hundred-eighty-three kilometers from Portland to Ventura, California. In the spring they returned to Portland after making stops along the way at Yosemite National Park, the Sacramento River, and several unidentified hot springs. Once back in Portland, they did not stick around for very long before setting out for Montana in order to visit King's brother, John, in Dillon and his foster parent, Walt Ebert, in Helena. Somewhere along the way they witnessed a cattle stampede and King picked up Kyle Brecheen as a traveling companion. On the other hand, the formidable obstacles faced by the homeless cannot in any way be understated. "Transients flow back and forth across the country, and up and down the coasts. They are of little moment," John D. MacDonald wrote in his 1982 novel, Cinnamon Skin. "They become the unidentified bones in abandoned orchards." King was able to avoid these pitfalls by keeping Tabor tethered to a ten-foot leash and, at other times, locking her in a carrier. Most important of all, he never allowed her out of his sight. In doing so, he has made liars out of all of those who claim that it is nearly impossible to travel with a cat. It is not an easy feat to pull off, but if an individual has the right equipment, the prerequisite savior-faire, and is willing to be diligent, it most assuredly can be done. Best of all as far as Tabor was concerned, she only rarely was forced to break so much as a sweat. "We've traveled thirty-six-hundred miles and the cat's probably got a half mile walking," he told the Independent Record. Unfortunately, all good things must come to an end sometime and storybook endings rarely endure for very long in the real world. The beginning of the end came in June when King and Ebert took Tabor to Helena Veterinary Service (HVS) for a routine checkup. The good news was that Tabor's health could not have been better. "The cat was in awesome shape," veterinary technician Maddie Parker told the Independent Record. "He had taken good care of it." The bad news was that Old Parker Bird, either of her own volition or acting upon instructions from King, scanned Tabor and located an implanted microchip. That led to the revelation that she and her brother, Creto, had been owned by Ronald A. Buss of 2232 Southeast 37th Avenue in Portland ever since he had rescued them from a neighbor's porch after they had been cruelly abandoned as two-week-old kittens. That not only explains Tabor's friendly demeanor but her love of the open road as well. "We were a team," Buss said of them in an interview with The Oregonian of Portland on June 17th. (See "After Ten Months, Thirty-Five-Hundred Miles, Cat Coming Home to Portland.") "We'd go everywhere together. They loved to travel." As it now turns out Tabor, whom Buss refers to as Mata Hairi in honor of a character from the 1970's television show, "Lancelot Link, Secret Chimp," as opposed to the famous World War I German spy, Mata Hari, had mysteriously disappeared from his home on September 1st. It has not been spelled out in media reports what steps he took in order to secure her return other than that he quite obviously neglected to consult craigslist. 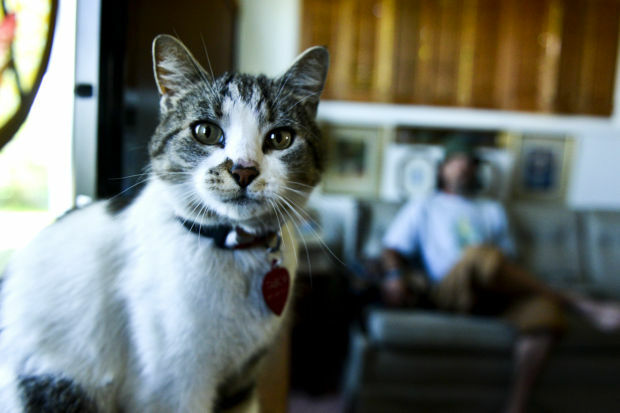 Locating a lost cat is nearly an impossible task even under the best of circumstances so it is difficult to fault Buss too much without knowing all the facts. Nevertheless, it is odd that no one apparently ever reported seeing Tabor even though she was living only a nine-minute walk from Buss's house for at least a fortnight. If he had blanketed the neighborhood with Lost Cat posters, he conceivably might have located her almost immediately. His apparent lack of due diligence possibly could be attributed to the fact that this marked the second time that Tabor had done a runner and some owners simply are unwilling to chase down cats that will not stay at home. That, for example, more than likely explains New York City Police Officer Jimmy Helliessen's nonchalant reaction the second time that his cat, Disaster, vanished from his home in Woodmere, Long Island. She compounded that initial mistake by fleeing into the woods once the trunk was unlocked and thus was forced to rough it for six months until she was rescued by an unidentified individual and turned over to the Humane Society for Southwest Washington (HSSW) in Vancouver. As the HVS later would do again, the HSSW found Tabor's implanted microchip and she promptly was returned to Buss. Just as things eventually turned out for him in Vancouver, it is conceivable that Buss once again was relying upon technology to do his legwork for him. "That was so uncanny that she was found the first time but the second -- two in a million," he exclaimed to The Oregonian. "It's quite an insurance policy." By that he is referring to the $90 that the chip initially cost him plus its $18 annual service charge. Despite all the miraculous reunions and incredible stories that implanted microchips have been responsible for relying upon them in order to protect cats is not only foolhardy but irresponsible as well. Implanted microchips suffer from a third fatal flaw in that most veterinarians charge a princely sum in order to scan and read them and in King's case that initially was not feasible. "If I had money, I'd of done it ten months ago," he pledged to the Independent Record. All of those negatives pale in comparison, however, with the disastrous consequences associated with allowing veterinarians and shelters to scan all cats that are brought into their surgeries and death houses. Although it is not known if this practice is mandatory across the board, it never-theless constitutes yet still another simply outrageous encroachment upon the liberties of cats and their guardians. This is because numerous cats and other animals rescued from the streets and fields should not under any circumstances be returned to their lawful owners. In this case, the fact that Buss carelessly has allowed Tabor to go AWOL on at least two separate occasions constitutes a prima facie case that he is not a suitable guardian for her. The case is even stronger where farm and laboratory animals are involved and the concerns extend well beyond implanted microchips to other types of tracking and snooping devices as well. Whereas property law dictates that they must be returned to their lawful owners, doing so is not only patently immoral but contrary to, at least, the spirit and intent of the anti-cruelty statutes. It additionally is simply reprehensible to condemn animals whose lives the Fates have intervened in order to spare to additional suffering and repeated trips to the slaughterhouse. For example on May 21st, the Jersey City Police rescued a diminutive brown female goat named Sky from the Pulaski Skyway who, owing to a USDA tag stapled to one of her ears, it is believed earlier had escaped from her executioners while en route to the slaughterhouse. "If it can survive roaming around the Pulaski Skyway for two hours and then winds up in a slaughterhouse, it's kind of sad," Stan Eason, a spokesman for Jersey City, told The Philadelphia Inquirer on May 22nd. (See "Escaped Goat Snarls Commute on Busy Highway.") "But if someone claims her, she is private property so there's not much we can do." That is a good first step and hopefully Sky will be allowed to live out her life there free of abuse and exploitation. In the meantime, Jersey City needs to urgently rethink how it deals with animals such as Sky. In particular, the city should immediately implement an enlightened and humane policy that explicitly prohibits any of its employees from returning animals that are destined to be either abused or killed. The only consideration that animal abusers and killers are entitled to under such circumstances is a short refrain of "finders keepers, losers weepers." Should worse come to worst, the city has plenty of money and therefore easily could ransom the lives of such horribly abused animals from the cutthroat capitalist that own them. It is reprehensible enough that slaughterhouses and animal research laboratories are allowed to operate in the first place but for public employees to aid and abet them in the commission of their diabolical crimes is every bit just as indefensible. Returning to Tabor, King's unparalleled devotion and care of her are eclipsed only by his mind-boggling decision to relinquish custody of her to Buss without so much as putting up a fight. "She is going to go back home where she belongs," he told the Independent Record. "I didn't want a cat in the first place. I just thought I was saving someone's cat. And that's what I've done." His decision to take her to Ebert's home in Helena and then on to HVS tends to lend credence to the suspicion that he had made up his mind sometime ago to get rid of her. Besides, if he really cared about her he would have settled down with her long ago. Although it may not have been feasible for him to have provided her with a conventional home, he most assuredly could have lived with her in either a tent or a ramshackle hut in the woods. Based upon his past history, however, that would not have been in keeping with either his lifestyle or aspirations. King appears to be a wanderer who is searching for something that is not easily afforded by conventional society. Back in 2003 after another companion of his had died and he had lost both his job and pad, he simply threw in the towel and joined the ranks of the obdachlos. "I packed two backpacks and just walked away from everything," he revealed to the Independent Record. He now has Brecheen for a companion and no longer either needs or wants Tabor. Even if he had felt differently, it is by no means certain that he would have been able to prevail if Buss had elected to challenge his ownership of her in a court of law. To be holding Bobby's body next to mine." He also is getting on in years and life on the road is preeminently a younger man's game. If he has not arrived at that conclusion already, the point will be rudely driven home to him in another ten years or so. Life not only becomes increasingly difficult with the ebbing of youthful vitality but this wretched society is constantly changing and it definitely is not for the better. All of those considerations serve only to make the special kind of love that only a cat can offer all the more precious. Tabor provided King with unconditional love, unstinting loyalty, companionship, and a raison d'être. He therefore should have look upon her as anything but a burden. Tabor and King were scheduled to have said their final good-byes in Portland sometime during the third week of June. In a denouement that was destined to be filled with every bit as much melancholy as Larry McMurtry's 1985 novel, Lonesome Dove, Buss was planning on inviting his family and friends to a homecoming celebration where Tabor was to be served a special treat consisting of ground-up raw chicken, egg yolks, and vitamins. Although King has been somewhat sang-froid about relinquishing custody of her, he at least has admitted that he is going to miss her. "There's going to be six or seven men crying the day I give her away," he told the Independent Record. "My pack will be twenty pounds lighter but a big hole, a big hole." He has not announced any immediate plans but more than likely he and Brecheen by now are back out on the road. Since his and Tabor's story has gone viral on the web, there accordingly is the distinct possibility of future radio and television appearances and even a book deal might not be totally out of the question. That is precisely how things eventually turned out for thirty-four-year-old James Bowen of London who was not only homeless but a heroin addict and a petty criminal to boot before a stray ginger tom named Bob came into his life in 2007. The moral support and companionship provided by Bob not only has enabled him to kick his drug habit but also to get his life back together. "I believe it came down to this little man," Bowen told the London Evening Standard on March 15, 2012. 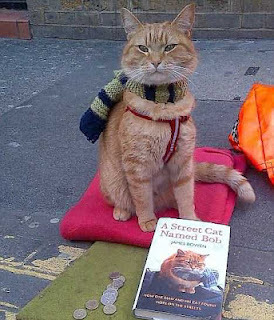 (See "Bob the Busking Cat.") "He came and asked me for help, and he needed me more than I needed to abuse my own body." As for Tabor, her future does not look anywhere near as rosy as Bob's. During his prior guardianship of her, Buss turned her loose to roam the streets of Portland all day while he was away, presumably at work, and that is what precipitated her two disappearances. Now that she is back home, he is contemplating a radical change in policy. "I'm thinking of keeping her inside," he told The Oregonian in the article cited supra. "She likes to ramble." Tabor is not about to cotton to being either grounded or ignored for lengthy periods of time. This is a cat who, after all, has grown accustomed to spending all of her time alongside King. Even when she and King were staying with Ebert in Helena she not only would constantly stare at her guardian but meow as well whenever he so much as left the room. She also would lick his face and tug at his beard in order to awaken him each morning. It would not be surprising therefore if her little heart has not been broken into a million pieces as the result of King's cruel abandonment of her. Once he walked out of Buss's house and closed the door behind him, her little heart surely must have skipped a beat or two. Once that panic attack had subsided, it likely was replaced by both a mind-numbing depression and the cold, hard realization that he would not be coming back. To have known and lost such a devoted caretaker must be making it extremely difficult for her to even cope. Contrary to what King and all others like him think, cats have feelings just like humans and other animals. Caring for them accordingly consists of a good deal more than simply providing them with shelter and food and an occasional friendly pat on the head. So, in the end, Buss has gotten back the cat that he always has treated pretty much like a fifth wheel and King now has his freedom to drift all over the West unencumbered with Brecheen. Both of them have used and deserted Tabor without so much as a second thought as to her needs and desires. While it would not be either compassionate, prudent, or helpful to endorse PETA's call for the abolition of pet ownership, there can be little disputing that the extreme selfishness, dereliction of moral responsibility, and uncaring attitudes exhibited by both King and Buss toward Tabor have given the practice a simply God-awful reputation. Photos: Dylan Stone of the Independent Record (Tabor by herself and with King), Ron Buss (Tabor, Creto, and himself), The Jersey Journal (Sky and Woody), and the London Evening Standard (Bob with Bowen's book).